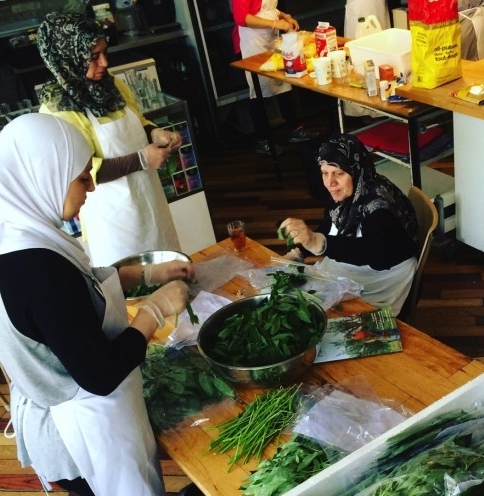 Newcomer Kitchen is "cooking up opportunity" for Syrian refugee families in Toronto. Many people in this country are happy to announce they “are proud to be Canadian.” People quickly go on to recount a story or explanation about what it means to be Canadian or why it’s so great to live in the Great White North. A common thread in many of these stories is how Canada is inclusive. We’re here to share one of these stories. It’s an outstanding story about a small restaurant space that became a community for newcomers in a strange city. The Depanneur is a unique venue in Toronto’s West-End that hosts culinary activities and creative pop-up food experiences. Recently, “The Dep” as it’s affectionately known, opened its doors to the Newcomer Kitchen. This non-profit organization invites Syrian refugee women to cook a weekly meal in the Dep’s kitchen space. This was a simple idea that has grown into something bigger thanks to the collaborative nature of everyone involved. It’s transformed into a beautiful, engaging food experience for the community, while providing new economic & social opportunities for the women and their families. Bringing people together in the kitchen has provided a safe and persistent semblance of home. It has allowed them to share stories, nurture relationships and pass along knowledge, while learning more about Canadian culture. It’s an inspiring story, one we’re proud to share. Len Senater, Rahaf Alakbani & Esmaeel Aboufahker, co-founders of Newcomer Kitchen, join us at the Terroir Symposium on April 23, 2018 to discuss their success in building this incredible network. Their goal is to create a model that can one day be replicated with any newcomer group, in any restaurant kitchen, in any city around the world. Newcomer Kitchen’s weekly pop-up will be hosted at The Depanneur on Wednesdays starting February 7th, 2018. The meals are sold online for pickup or delivery, and the proceeds are shared among the cooks. 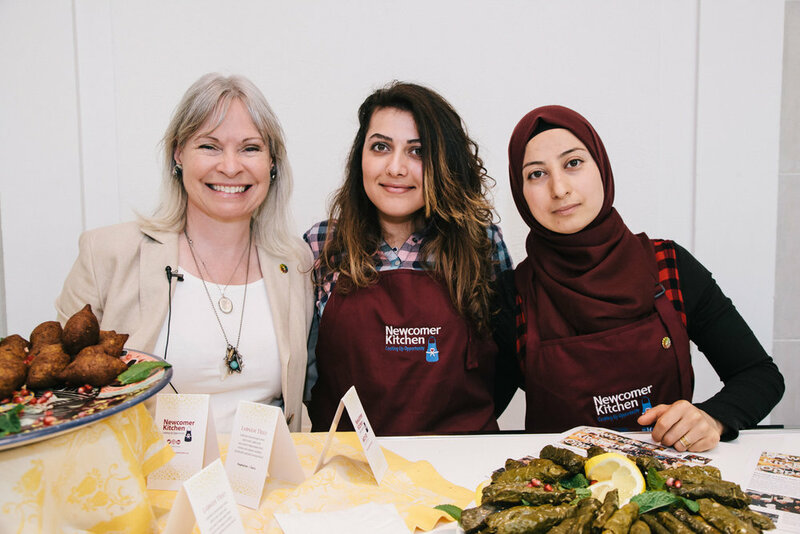 To learn more about how to support or get involved with the Newcomer Kitchen, visit their website here.